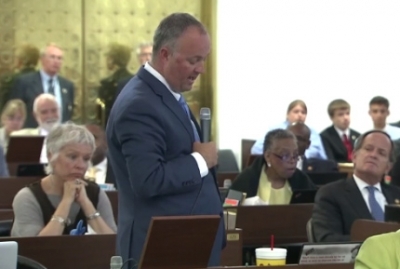 When N.C. House Speaker Tim Moore and Senate President Pro Tem Phil Berger addressed reporters last week, they boasted that negotiations on the state’s estimated $24 billion budget were “far ahead” of years past. According to top Democrats who spoke to Policy Watch this week, that may be because Republican lawmakers are considering a maneuver that would dramatically limit debate on the privately negotiated spending plan in the coming days. State House Democratic Leader Darren Jackson says members of his party believe the GOP may pack the entire budget bill—negotiated by House and Senate leadership behind closed doors—into a conference committee report either late this week or early next week. While such a tactic is not unheard of at the General Assembly, this would be an unprecedented move with respect to the state budget according to several longtime lawmakers and legislative staffers. Because a conference report is considered the final product of House and Senate negotiations on an already-filed bill, General Assembly procedures would provide only for a “yea” or “nay” vote with no allowance for amendments. It’s unclear what existing bill, if any, Republican lawmakers would use to carry the spending package. Multiple GOP budget writers—including Moore and Berger—and their representatives did not respond to Policy Watch inquiries this week. “I hope the rumors are not true and we will not make history this year,” Jackson, a five-term legislator from Wake County, wrote in an email to House budget leaders Monday. In that email, Jackson pointed out that in 2010, Democrats held the majority in the state legislature. Facing a “difficult election season,” Jackson said his party allowed for thorough committee and floor discussions, fielding more than 100 amendments from both parties. All told, Jackson wrote, 18 amendments passed on the state House floor, 12 written by Republicans. “I am unaware of any instance in modern North Carolina history where the state budget was amended via process that did not allow for committee consideration, committee amendments, and floor amendments,” Jackson added. In an interview with Policy Watch Tuesday, Jackson doubled down on his concerns that Republicans would circumvent the usual budget process, adding that he believes Republican leaders would squander any opportunity for bipartisanship if they bypass committee amendments. Rep. Craig Horn, a Union County Republican who co-chairs the House education budget committee, said Democrats’ fear is a definite possibility. 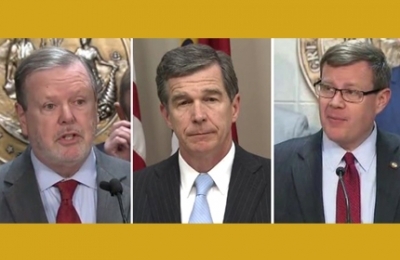 Democrats have often complained that Republican leaders in the General Assembly, who’ve held sway since 2011, are crafting their budgets in a secretive manner, eschewing the type of full-throated committee and floor negotiations held in years past. Indeed, last year, the minority party blasted GOP budget writers for issuing components of their spending plan just hours before various appropriations committees were scheduled to hold a vote. That meant lawmakers shut out of the budget-writing process, mostly Democrats, had scant time to read a document hundreds of pages long. “We’re looking at a $17.5 billion (public school) budget that we’ve seen for the first time today and we’re going to vote on it in three hours. 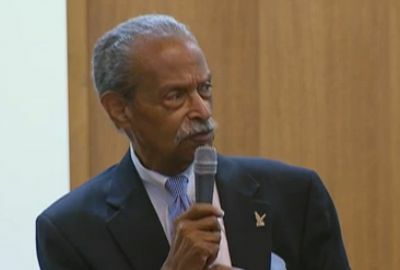 No, hell no,” Rep. Mickey Michaux, a Durham Democrat and the longest-serving member of the state House, told members of a House K-12 committee last May. Republican leaders countered then that Democrats would have the chance to provide their amendments and make their arguments on the Senate and House floors in the days that followed. If Democrats’ fears of a new GOP strategy are true, they would have no chance to put forth amendments this year. …we’ve seen [it] for the first time today and we’re going to vote on it in three hours. No, hell no. Michaux, who’s retiring this year from his long-held legislative office, was a senior appropriations chair when Democrats held power prior to 2011. On Tuesday, he said talk of bundling the entire Republican spending plan in a conference report takes the GOP budget maneuvering another step, and he added the proposal has angered some Republican lawmakers as well. Sen. Mike Woodard, a Durham Democrat who sits on the general government appropriations committee, said he too had been told Republicans may attempt to speed through their budget in a conference report. Jackson said the maneuver would be part of a “larger pattern” with Republican leadership. “I’m hopeful that enough Republicans look at this and say, ‘This is crazy,’” he said. Woodard added that he believed Republican state lawmakers hope to vote on their budget within two weeks at the latest. Yet the specifics of their plans remain shrouded in secrecy. Moore and Berger indicated to reporters last week that, while budget writers in both chambers had agreed to a $24 billion spending goal, there were still kinks to work out. In the meantime, Moore and Berger offered at least one detail, promising an average 6.2 percent raise for North Carolina teachers in the coming year, on the eve of a historically-large, May 16 teacher protest in Raleigh that drew more than 20,000 educators and advocates to the state capital. However, as Democrats pointed out, Republicans had already scheduled those raises during last year’s budget negotiations. Lawmakers are under pressure to open their pocketbooks more for public schools, after overseeing a precipitous decline in inflation-adjusted education funding since the 2008 recession. Democratic Gov. Roy Cooper’s budget promised an average eight percent raise for teachers, with no educators receiving less than a five percent jump. Cooper’s budget also paid for hikes in education spending on classroom infrastructure, textbooks and materials, and school support staff by freezing Republican-backed tax cuts for corporations and high-earners. Cooper’s plan isn’t likely to find support among GOP leaders, who told reporters last week that they would not be raising taxes this year. Critics say Republican tax cuts approved since 2013 cost the state billions annually in revenues that could be spent on schools. 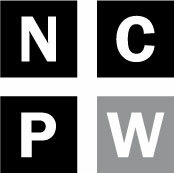 North Carolina’s per-pupil spending, while on the rise in recent years, still trails the national average by about $2,400 per student and ranks 39th in the nation. Jackson told Policy Watch Tuesday that, based on Moore and Berger’s announced spending goal, he believes Republicans will seek deeper tax cuts in this year’s budget or allocate more funds into the state’s “rainy day” fund. Yet at least one top Republican, Iredell County Rep. John Fraley, Vice-Chair of the House Appropriations Committee, told Policy Watch this week that he believes party leaders should wait before considering any new tax proposals. Fraley, however, said he doesn’t expect that last week’s teacher rally will galvanize any major changes in this year’s education budget, with the exception of a spate of school safety reforms approved by a legislative committee this year. “A lot of things that were being done with the budget were already baked in,” said Fraley. “You also do have some limitation as to how much can be done because of other things that can be committed to. I would really look at most of these things as being a long-session discussion” (in 2019). Horn agreed. “Fundamental change really needs to happen in the long session when people can participate in the debate,” he said. At the same time, Horn said that he believes the teacher protests were “effective” in engaging a number of state lawmakers who might not otherwise be engaged. State House and Senate lawmakers are expected to reconvene Wednesday morning. Next article Coincidence or collusion? NC Oil and Gas Commission receives curious requests to frack.